Cedar Crest College welcomes students from abroad to study on our safe and beautiful campus located in a thriving region just a few hours from New York City, Philadelphia and Washington, D.C. This section is for any non-citizen who requires an F-1 student visa in order to study in the United States. We have a dedicated team of professionals who will help guide you through the necessary steps to becoming a Cedar Crest student. Please feel free to reach out to us with any questions you may have. My experience here at Cedar Crest College has been life-changing. I have learned a lot about myself since my freshman year. In the three years I have been here, I have grown as an individual and have become more confident in myself. There have been many opportunities that have helped and continue to help me grow as a leader here on campus. Everybody is always willing to help and they really care about you as a part of this community. Cedar Crest College has become my home away from home. Co-Curricular Activities: Admissions Ambassador, Christian fellowship club, Amnesty international club, Social work, cultural connections and diversity council member. Cedar Crest College has helped me to develop my leadership skills through club activities including leadership conferences, campus engagements and so forth. The professors, staff members and my friends at CCC have made a great impact on life. My educative experience at Cedar Crest has empowered me to inspire others. TOEFL or IELTS test must have been taken within the past two years. Demonstration of English proficiency will be waived on a case-by-case basis for those students residing in a country where English is a recognized language, or where an official school curriculum is taught primarily in English. While scanned copies of original documents will be accepted for admissions purposes, international students are required to submit original copies of transcripts to the office of admissions as soon as possible. If official documents are not received by the College by the first day of classes, a hold may be placed on your account. If documents are not in English, the original document must be accompanied by a certified, literal English translation. Students whose curriculum includes external examinations should submit an official record of their results. Verification of these results may also be requested at the discretion of Cedar Crest College. One letter of recommendation from a teacher or academic counselor in English or accompanied by a certified English translation. Copy of foreign passport and current U.S. visa (if applicable). Traditional international students are eligible for Cedar Crest College scholarships. Find out more about traditional student scholarships. Cedar Crest College is a proud participant in the #YouAreWelcomeHere scholarship program. Learn more about the #YouAreWelcomeHere scholarship. Waiver of English proficiency requirement: On a case-by-case basis for those students residing in a country where English is a recognized language, or where an official school curriculum is taught primarily in English. If you studied at a U.S. college or university for at least one academic year, earned at least 24 college-level semester credits and have completed a college level English course with a C or better. Submit your official high school (secondary school) transcript with graduation date. If the documents are not in English, a certified English translation should be provided along with the original document. Submit official transcripts from ALL college, university and post-secondary institutions currently and previously attended. Post-Secondary foreign academic records must be evaluated by World Education Service. The evaluation of any academic credentials will be at the expense of the student. Original transcripts or evaluations must be submitted from all previously attended institutions. Failure to provide original transcripts from previously attended colleges or universities may result in no transfer credits being awarded. Please note that not all credits may transfer. While scanned copies of original documents will be accepted for admissions purposes, international students are required to submit original copies of transcripts to the office of admissions upon arrival at Cedar Crest College. If official transcripts are not received by the College by the first day of classes, a hold may be placed on your account. Traditional transfer international students are eligible for Cedar Crest College transfer scholarships. Find out more about traditional transfer student scholarships. Deposits may be paid by credit card through MyCedarCrest or by wire transfer. If you need instructions on how to pay by wire transfer please contact us. After we have received your deposit, you will work with International Student Services to obtain your I-20 and complete the enrollment process. Please note that Cedar Crest College will defer admissions decisions for one semester. After this one-time deferral, a new application must be submitted for consideration. Foreign address and phone number. US address and phone number (if applicable). * The International Student Fee covers academic and cultural support services for international students. A fee waiver may be issued on a case-by-case basis based on English language ability and/or academic preparedness. Please talk to your admissions counselor for more information. **Please note that the International Student rates quoted on this page are for the academic year indicated only. Cedar Crest College has the right to alter tuition and fees as necessary. Financial guarantee from a sponsoring agency (for example, SACM or CBIE). Note: “For Admissions Purposes” financial guarantees are considered unofficial documents. These will be accepted for the purpose of issuing an initial I-20, but an official financial guarantee must be received by Cedar Crest by the first day of classes of your first semester. Official financial guarantees must be sent to the College directly from the sponsoring agency, and may be sent by mail or electronically. If the official financial guarantee is not received by the College by the first day of classes, a hold may be placed on your account, and your I-20 may not be made active. International Affidavit of Support – Certification of Financial Responsibility. 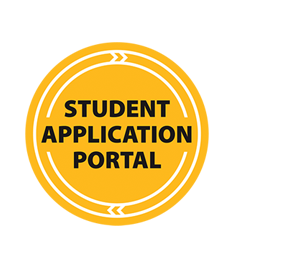 If you are not fully funded by a sponsoring agency, complete and mail this form and all required documents to International Student Services. Note: Bank statements and other documents must be original documents. Exceptions to this requirement may be considered on a case-by-case basis. If unofficial documents are accepted for the initial I-20, original documents will be required by the first day of classes. If the official financial documents are not received by the College by the first day of classes, a hold may be placed on your account, and your I-20 may not be made active.